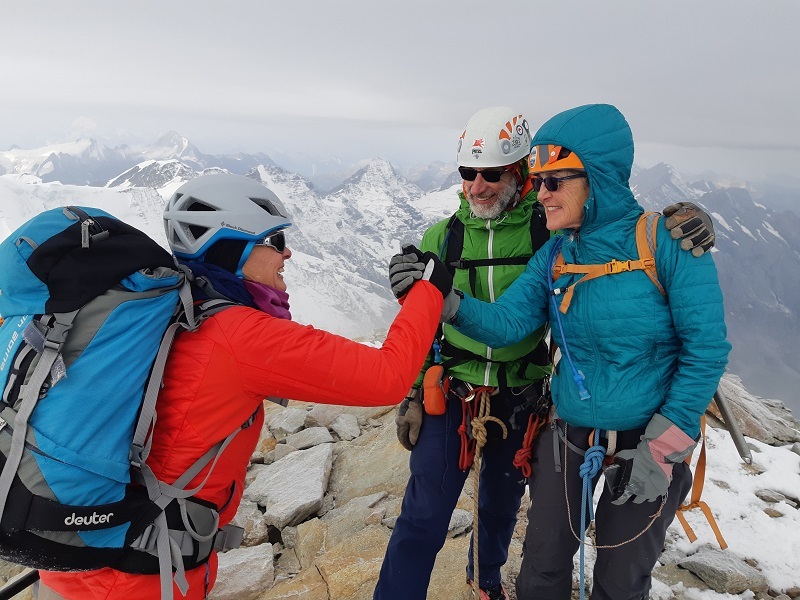 Plan A had been to climb the Eiger but as is so often the case, plan A didn't work out! 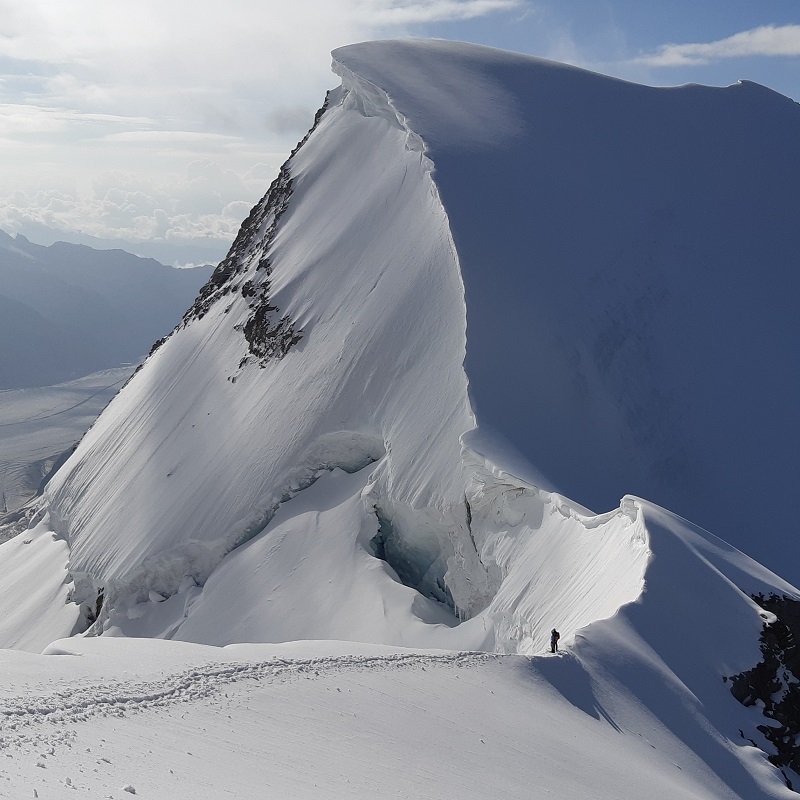 Bad weather over the weekend left the Eiger plastered in snow, and the Mitellegi hut closed. 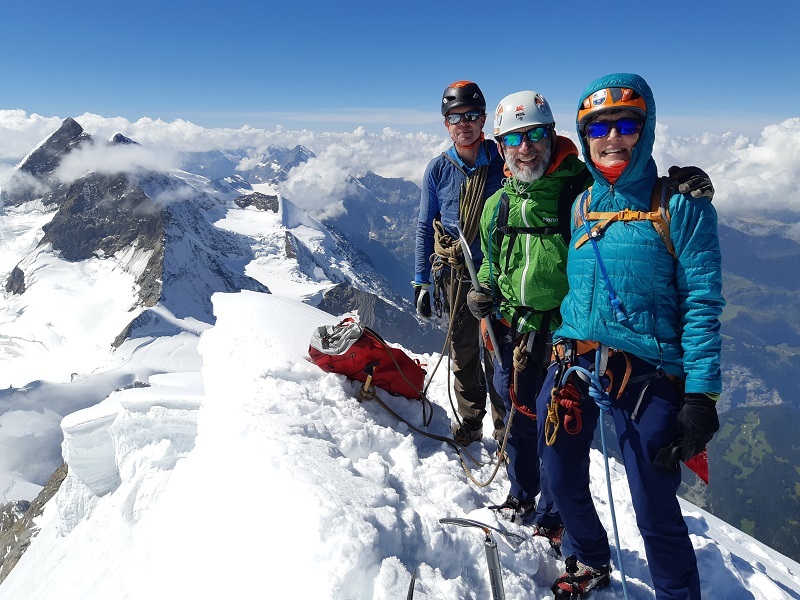 Instead, we climbed the Eiger's bigger neighbours, the Monch and the Jungfrau. 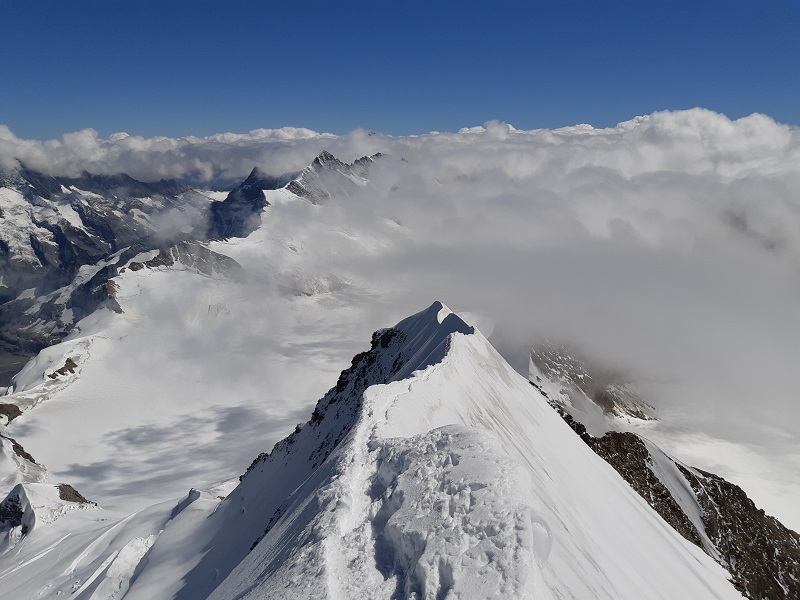 The Monch is definitely getting narrower each year as the summit snow ridge melts away, but the Jungfrau had actually benefited from the recent weather with good, fresh snow making a solid trail on the upper slopes.